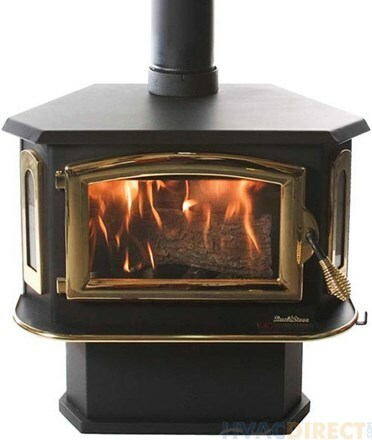 Do you have a pretty but not practical fireplace in your mobile home that sends most all the heat right up the chimney? The Model 18 was disned specifically to fix your problem! The Model 18 is a highly efficient non-catalytic wood insert designed to fit safely into even the smallest pre-fab fireplaces typically found in mobile homes. Heats up to 1200 square feet, has up to a 7 hours burn time. Usually can fit where no other insert can. Only 17 7/8" tall. Our package includes the Buck cast collar, and built-in blower. If you live in a mobil home and want to slash your heat bill, this is something to get exited about, so call us right away! Only 3 left at this price!